Home to Mexico, Belize, Costa Rica, Panama, Guatemala and several other countries, the region of Central America contains some of the hottest climates and richest cultures known to man. The thin strip of land connects North and South America, and as such has been of strategic importance for thousands of years. While the native peoples of the area such as the Mayans and Aztec people held the region for most of history, the arrival of Europeans during the Age of Exploration saw a conquest led by the Spanish. Even today, the mixture of native traditions and Spanish culture plays a large part in characterizing the region. Recently, tourism in Central America has really taken off, and resort towns quickly sprung up along many of the area’s pristine beaches. While Central America may not be the wealthiest region in the world, the residents friendly attitudes, unique tropical and desert ecosystems, and huge number of beaches make the region very appealing to travelers of all calibers. 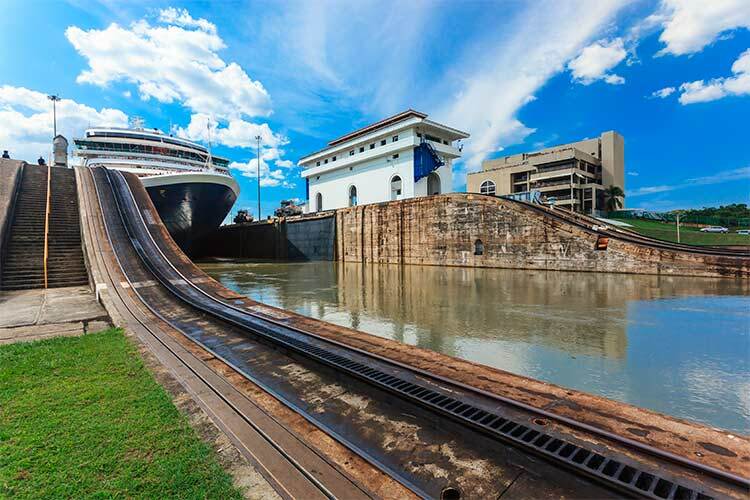 When planning a trip through Central America, one would be mistaken not to visit the Panama Canal. This important waterway connects the Atlantic and Pacific Oceans and has been hugely important in the 20th century. The scale of the canal alone makes it obvious why the structure is regularly considered one of the modern wonders of the world. Besides the canal itself and the historical sites that surround it, the globalized metropolis of Panama City is located at the Pacific entrance of the canal. 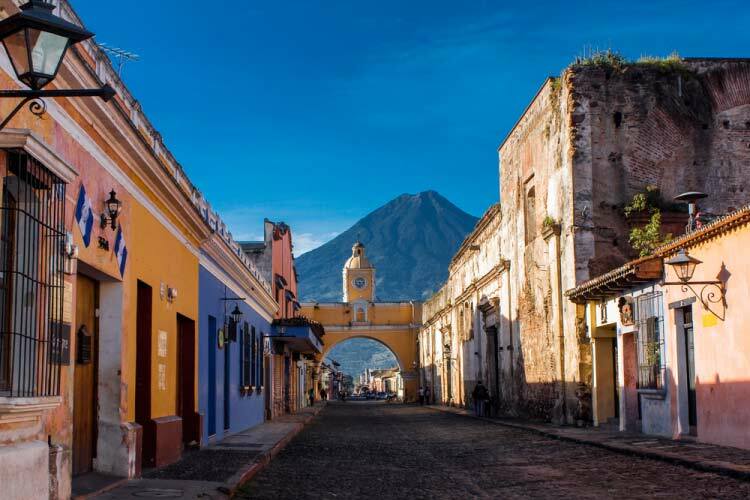 This bustling town is a cultural and economic hub in Central America, in addition to being one of the region’s most industrialized and urbanized areas. 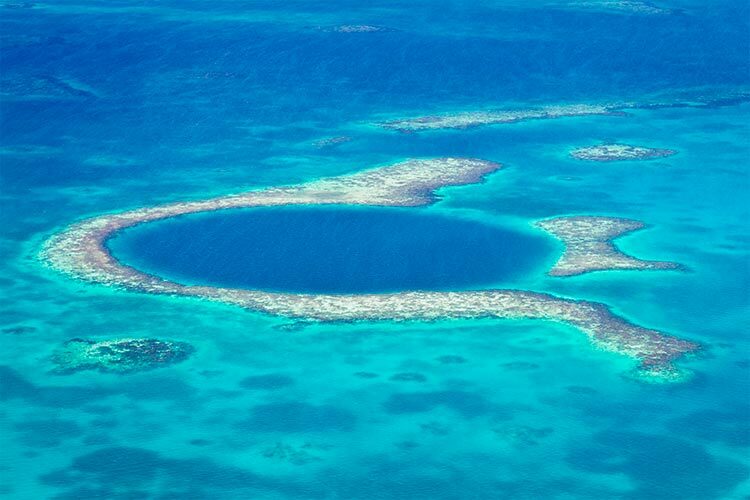 For a glimpse into the natural side of Central America, one ought to visit Belize’s Great Blue Hole. The underwater sinkhole sits about 43 miles from Belize City and is surrounded by a gorgeous barrier reef system. 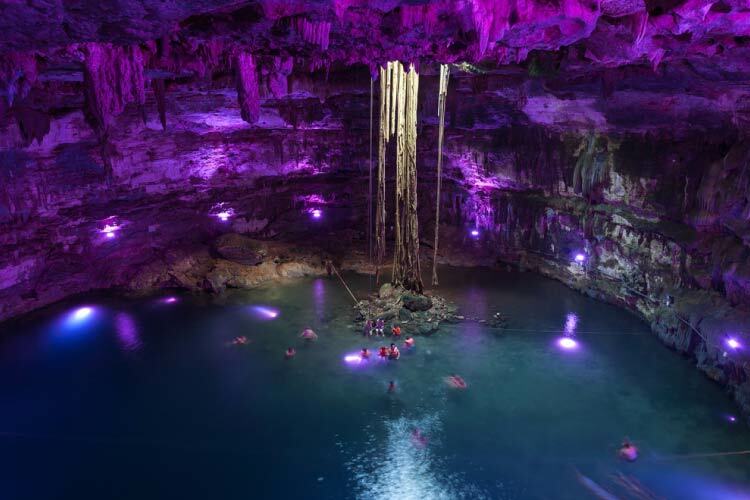 Widely revered for its scuba diving, this underwater cave system is like no other, and there’s little reason to doubt this is why the site consistently ranks in the world’s top natural wonders. 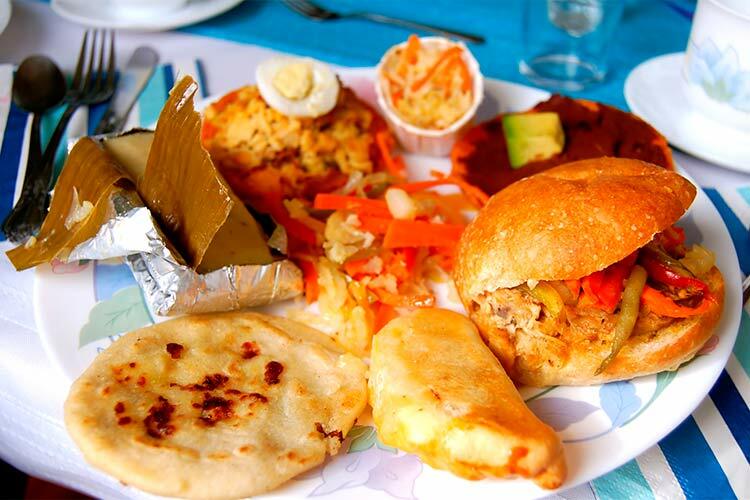 In the southern and coastal sections of Central America, fish and seafood dominate the local cuisine. However, inland dishes based largely on corn, tomatoes, and livestock are also quite common. The Mexican culinary tradition enjoys immense popularity both in Central America and throughout the world. First begun by the native peoples of the air, Mexican cuisine often focuses on corn and flour tortillas surrounding chicken, beef, or fish and side items such as beans, salsa, and cheese. Whether this is organized as a burrito, enchilada, or taco is up to the consumer, but the usage of fresh, local ingredients and a variety of spices guarantees a tasty meal. Throughout Central America, elote, or street corn, is commonly available. Often sold in roadside carts, this dish features corn-on-the-cob slathered in a buttery, cheesy sauce. Elote can be quite messy, but trust us, it’s some of the best dishes you’ll be able to find in Central America. The coastal areas of Central America are widely regarded as some of the most important and diverse marine ecosystems in the world. Opportunities to scuba dive draw visitors from across the world, all vying for a chance to see colourful tropical fish, octopi, rays, and even sharks. 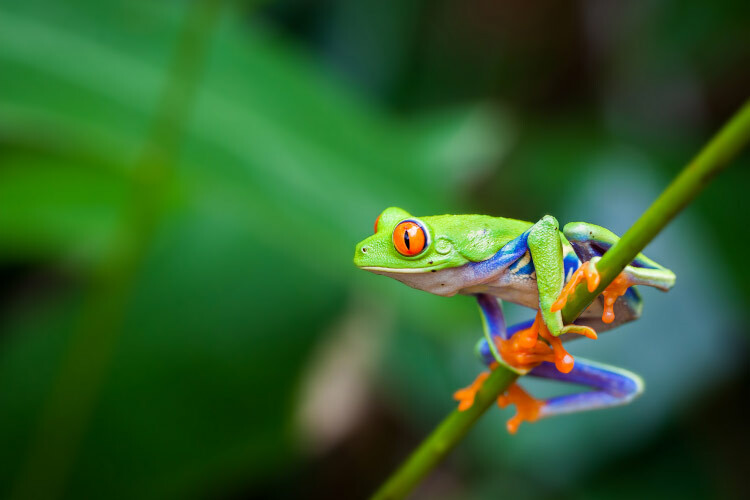 Inland, much of Central America could be classified as a tropical biome, and numerous birds, monkeys, insects, and plants call the region home. In the northern sections of Central America, particularly in Mexico, rocky deserts overtake the lush rainforest. While inhospitable, animals such as shrews and coyote do manage to scrape by in the harsh deserts.